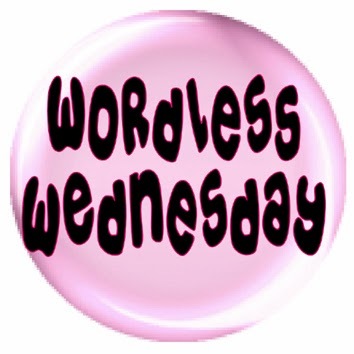 This entry was posted in Blog Hops, Wordless Wednesday and tagged #WW, Comedy Plus Wordless Wednesday, Emmy, Joanie, Lucy, Phoebe, Purim, Queen Esther, Trouble, Wordless Wednesday by pilch92. Bookmark the permalink. So sweet! I’m reminded that an Israeli friend has a card in the mail to me. I wonder what happened? It’s been weeks. Oh, well, we enjoy the delayed gratification of our correspondence, Be well! I hope you hear from her soon. Clearly royalty is in the family. . . Ya make a great Queen Esther Trouble! Wow, Trouble really is a big girl – I bet that cape would be large on me because I’m pretty small. She is a big girl, probably twice your size. You are lucky ! None of my 3 cats would allow me to put a hat or a cloth on ! I would be in hospital. Cute Queens ! Look at all those Queen Esthers through the years! Everyone has totally rocked the costume that’s for sure. Yep, all the ladies wore it well. Everyone looks mighty good in their pretty dresses. Great pictures. Hope everyone has a good day. Trouble looks cute wearing the crown. They all look lovely as Queen Esther. Y’all really do look fabulously Royal! Royalty befits all of you. Trouble is so adorable in Queen Esther outfit! Purple is a great color on her beautiful coat! Trouble had a lot to live up to, and she did great!! The purple cape really looks good on you. Adorable! We love all the past Purim photos, too! AWW! Didn’t they all LQQK very regal heheh! Awwww Those are crowns! That is just too cute. Thanks for sharing! Trouble looks so nice in the costume, even if it’s a little too small. I loved seeing the other years’ photos too. So nice. Wish she could wear the cape. Who wore it best? I think Trouble’s black furs look fab with a crown and purple cape! I love when your kitties play dress up! Zulu absolutely insists that he should have a crone and a lovely purple cape too!! Happy Purim, and i really like the costume. Thank you 🙂 Happy Purim! Trouble makes an adorable Queen Ester. I always love seeing you Queen Esther kitties! Trouble, no matter your size, you look like royalty. Ha!!! Love it! We don’t even celebrate Purim………..too funny! Everyone looks adorable in the cape. Trouble looks so sweet in her regal get up! Awww, they all make adorable Queens.